If you like festivities and you are also big fan of online casino slots, then you will surely appreciate the promotion recently announced by Manhattan Slots. At the cornerstone of this new promo are plenty of free spins, which are highly appreciated by those who like to spend a lot of time over the Internet spinning the reels. After all, what’s not to like about being given the chance to compete for real money without investing a dime of your own. In order to capitalize on the 25 free spins available for the highly popular Builder Beaver video slot casino players who compete at Manhattan Slots are supposed to use the RDLS50TIMES code. In addition to the free spins, players will also receive a 50% deposit bonus that can be redeemed by turning over the total amount 20 times. There are very few strings attached and the only one that players should be aware of is that the games that count towards the play through requirements are slots, scratch cards and keno. 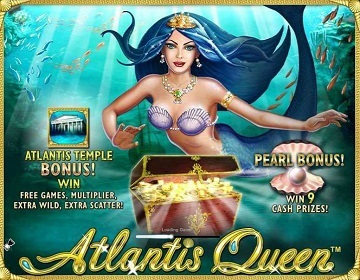 This only applies to the bonus and deposit, with any profits generated as a result of using the free spins being automatically credited to the player’s account. This means that anyone can choose a different game from the generous Manhattan Slots online inventory and turn newly made profits into even more money. Those who enjoy a good run, will be able to withdraw the gains right away, while trying to meet the other wagering requirements for the deposit and bonus combined. This is only the latest promos running live at Manhattan Slots, so once it expires, new ones will replace it, so online casino players have nothing to worry about. Make sure to regularly check the promotions page for updates.